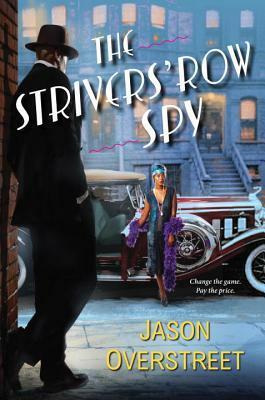 The Strivers’ Row Spy is the debut novel for author Jason Overstreet and is a hit from page one all the way to the end. Sidney Temple is one of the first black men to graduate from Middlebury College in 1919 and he’s driven to make sure that the sacrifices his mother made in order for him to go to school will be repaid. His accomplishment at graduating college, along with his war service brings him to the attention of J. Edgar Hoover who recruits Temple as one of the first blacks to be a spy in Hoover’s Bureau of Investigations. Temple is set up in Harlem by Hoover’s Bureau. Temple’s assignment…? Get close to, and find evidence of corruption or illegal activities of Marcus Garvey – a radical, black, ‘back-to–Africa’ extremist. Sidney does make it into the inside of Garvey’s massive and extremely protective empire, but Temple manages to play it close to the vest and keeps his eyes open for other opportunities. While he disagrees with Garvey’s vision, he’s not convinced that Hoover has the best interest of America’s blacks in mind. And so Sidney anonymously passes along highly sensitive information to W.E.B. DuBois who is organizing the NAACP. Author Jason Overstreet has written a highly compelling spy mystery with an authentic presentation of history of the period, capturing the exciting social extremes of the times. Just when everything seems to be going Sidney’s way, and perhaps just as the reader is forgetting that our protagonist is a black man in the 1920-30’s, we get a stinging reminder of the racism that once (and still) oozes through our country. Overstreet moves the story along beautifully, creating high interest in the story and giving the reader a strong desire to know what happens next. I’ve written before that I much prefer character-driven stories and here Overstreet excels. Sidney Temple is absolutely fascinating. I believe in him, I believe that I understand him, and I trust him to do just what I would do given the circumstances. The last ten percent of the book is as exciting a thriller as any James Patterson or Lee Child or …well, you name the author and Jason Overstreet can stand shoulder-to-shoulder with him/her. If there’s one portion of the book that doesn’t live up to the rest – and keeps this from getting an even five stars – it would be the scenes with Temple’s wife. I can understand the need to have Sidney be a married man at times, and I can understand why she needs to be out of the way at other times, but the few moments when the story is on the two of them I really just wanted to get back to Temple’s undercover work. And the dramatic scene between the two of them came out of nowhere for me and felt like simply a device for some necessary action later in the book, rather than organic character development. Still, this is a very well written historical thriller and I’m looking forward to Jason Overstreet’s next book. Looking for a good book? The Strivers’ Row Spy by Jason Overstreet is a political, historical thriller that is tremendously compelling and highly recommended. Martin Quint is a respected professor at an elite technological institute is a busy man… he’s mentoring a new professor, he and his wife are expecting, he’s on a panel reviewing possible tenure cases, and he’s dealing with a leak inside his department – someone is publishing private emails in regards to the tenure cases. How is a simple professor to cope with it all? 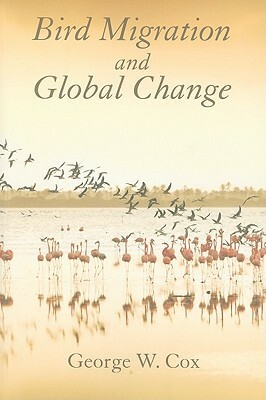 There is an easy readability to this book … author Stephen D. Senturia writes in a smooth, soothing manner. …But that isn’t always a good thing! Martin Quint is an academic superman. He can do no wrong! Although author Senturia loads up on Quint, giving what might seem like an unbearable load to show the reader how much he has on his plate, how important he is, and how efficient he is. It’s also an attempt to create conflict – one of the essential ingredients for all fiction. But there is no conflict. Quint super-heroically takes it all on in stride. No tension is ever built. Senturia even tries to build in a hint of illicit romance — Quint’s pregnant wife is concerned about all the time he is spending , as adviser, with the female professor and mentions – more than once – that she is concerned he’s having an affair. But he isn’t, and tells her so. Crisis solved! Those who work in academia will recognize the bureaucratic politics that goes on in high education and those who aren’t may be a little surprised at the petty meanderings of our educational instructors. I did find the teaching ability vs research work criteria for tenure discussions quite interesting but that really is all that held me to the book. There were plenty of issues set up to draw from to create more conflict and tension, but nothing was ever seized and given proper weight. I was especially hoping for more with the ‘hacking’ issue, but that did nothing more than serve a purpose to talk about the tenure. Looking for a good book? 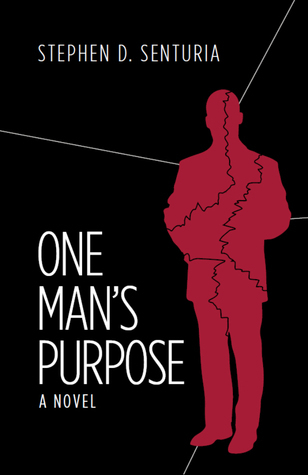 One Man’s Purpose by Stephen D. Senturia was an easy read but really goes nowhere and has no purpose. We’re many years in the future, but the laws of physics still hold true and it is not possible for anything to travel faster than the speed of light. Still, mankind has managed to cobble together an empire spread throughout the galaxy. Some are on planets, some inside planets, some in space stations. Earth is no longer in the picture. At the heart of the empire is “Hub” and furthest away from Hub is “End.” Aside from an Emperox, what keeps the empire together is a natural(?) phenomenon known as “the flow.” The Flow is a slipstream of sorts, carrying ships from one location to another in faster than normal (though not FTL fast) speeds. The Flow has natural entry and exit ports and the locations for the empire were based on where these ports were. But something is happening … the Flow is changing – something that only happens every few thousand years – and the collapse has been predicted by a ‘flow physicist’ on End. That physicist needs to get the information to the Emperox quickly because the entry to the Flow from End will be one of the next things to change. Unfortunately, there’s a coup going on at End, with another family looking to replace the Emperox. What they don’t know on End, because it still takes a long time to travel through the Flow, is that the Emperox has died and because his son, the heir, had died before him, the new Emperox is the daughter, Cardenia Wu-Patrick, who has not been prepared for the role. Cardenia takes command of the empire just as the Flow is collapsing and a rival family is looking to take over and her best friend and confidante is killed in an attack on her. Author John Scalzi knows how to tell a tale and this first book in a new series really zips along with lots of action, enough intrigue to tantalize, and characters that are pulled from a catalog of stock characters but made interesting with Scalzi’s style. Scalzi has a legion of fans and more than a few detractors. He falls into that category where he is either a writer you really like, or one whose work you won’t touch. Me…I like his style. It’s direct and fun. He offers plenty of humor, more than a little cursing, and characters to love and characters to hate and you never wonder which is which. Scalzi also does a really tremendous job of bringing something new into the sci-fi world with each of his books and this is no different. In fact it may be his world-building at which he most excels. I listened to the Audible version of this book, as read by Wil Wheaton, and enjoyed Wheaton’s narrative. Wheaton knows how to read the book with some energy and excitement, offering the listener the full thrill of the story. But there is a down-side… this first book has no ending. Just as every other author seems to be doing, Scalzi has written an adventure that leaves the reader with more questions than answers and finishes right at the moment of rising action. I definitely prefer a book that has a beginning, a middle, and an end. Still – it’s a Scalzi adventure, and that’s worth more than the price of admission. Looking for a good book? 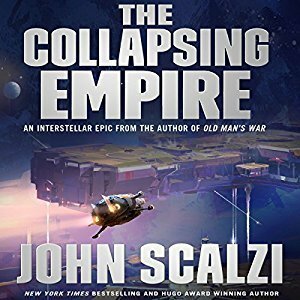 The Collapsing Empire by John Scalzi is the first book in a new series by one of the most entertaining of voices in the sci-fi community. It’s worth reading. I’ve become quite a fan of Seanan McGuire/Mira Grant, and while the October Daye series has been on my radar to begin reading, I’ll have to admit that this is my first October Daye book (and it’s the tenth in the series). While this book is mostly pretty straight-forward and a self-contained story, it was very evident that there is an awful lot of history here and that those of us just jumping in have missed out on a lot. October Daye has traveled to the Kingdom of Silences to try to keep the peace between them and he home, the Kingdom of Mists. But now she’s back and she has a new cure for “elf-shot” (a sort of magic coma that can put a magical being to sleep for centuries without causing any other harm) and she’s has become the primary figure in a battle of political tug-of-war. October is the heir apparent for the troubled Kingdom, but she wants nothing to do with politics and leadership. When one of October’s closest associates and friends is in mortal danger, she’ll be forced to make one of the toughest decisions of her life. Seanan McGuire is quickly rising to become one of my favorite fantasy authors. Bother as McGuire and as Mira Grant, she publishes a steady stream of fiction that is tremendously readable, highly original, and character-driven but intricate plotted. This book is no exception to that list, but because it’s a long-running series to which I am a virgin reader, I spent much of the first half of the book simply trying to become familiar with this world and to understand the rules of how magic works here. In this sense I grew a bit bored. But once I understood the landscape, I began to see the signature writing of a Seanan McGuire novel and became more deeply interested in the story and the characters. Enough so that I now desire to go back to the beginning of the series and work my way through (local library, here I come!) and with the book ending the way it did, I, like most fans of the book, will be eager to see what Daye makes of herself. The book includes a novella that was every bit as interesting as the book – perhaps even more-so for me as I had just become invested in the world. Looking for a good book? 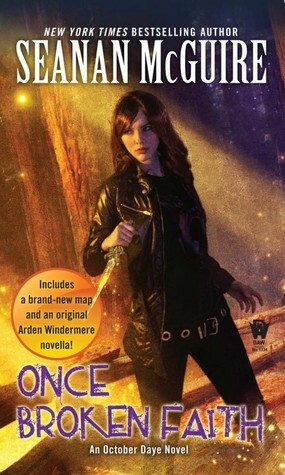 If you read urban fantasy, you will want to have a regular diet of Seanan McGuire, and Once Broken Faith, the tenth book in the October Daye series, is book (and a series) that you will enjoy. It’s sad how little I know about our neighbors to the north – Canadians and their country. And I live in a border state. 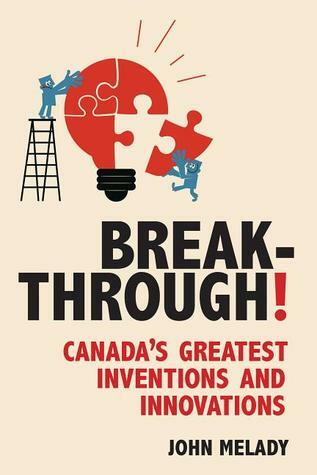 But this book, Breakthrough!, by John Melady, lets us all in on a little secret … Canadians have done an awful lot to make the world a better place. In a very readable manner, author John Melady writes a series of brief biographies of a number of Canadians who have contributed in a wide variety of manners, from the progress of technology to the creation of popular recreation activities. Each one fascinating in its own way. The book begins with Frederick Banting, the doctor who ‘invented’ insulin in the early 1920’s – still the most common drug for treating diabetes (I believe), and ends (appropriately) with Lester Pearson, Canada’s Prime Minister through much of the 1960’s, who spearheaded the campaign for Canada’s now iconic red maple-leaf flag. Only two names here were familiar to me before reading this book, and both were surprises as to their connection with Canada: Alexander Graham Bell, and James Naismith. Some inventions/innovations are small (such as the paint roller), but even those simple tools were ‘game-changers’ and so common-place today that we forget that there was a time when someone first came up with the idea. Some creations seemed pre-destined to have been invented in Canada or by Canadians, such as the snow-mobile and the hockey goalie’s facemask, while others simply show that we don’t often think about who or where an idea was first nurtured (such as a high performance aircraft pilot’s flight suit). And sadly, this being Canada, we never really granted him the praise he was due. Other countries put their heroes on pedestals; we forget ours. Clearly Canada has had some great innovators, but what it hasn’t had … before Melady … is a great publicist – a flag bearer, a banner-waver, someone to remind the country (and the world) of what Canada has provided. Hopefully that changes with this book. Looking for a good book? Breakthrough! : Canada’s Greatest Inventions and Innovations by John Melady is a wonderful resource and biography of many great men (sorry…no women) who hailed from Canada and the ideas that helped the world. I was really looking forward to this book – epic fantasy, rogue-ish pirates, a publisher who puts out very good work, and a new author (I enjoy finding new authors to follow). But sadly this book did not hold my interest or attention. Detan Honding is of royal birth, but he’s a bit of a con-man/pirate who effuses charm and often talks his way out of a jam. Right now he has his sights set on ‘acquiring’ a prized new airship that belongs to a former commodore of Thratia. It’s no small task, but if anyone could do it, it would be Detan and his crew. The airship floats by means of an element called selenium and some people are ‘sel-sensitive’ and able to manipulate the selenium. Of course the mining of selenium is a top priority here. But Thratia is suddenly facing a new threat. A ‘doppel’ – someone who can change his appearance as a result of a sel-deviation. With security now high and on alert because of the doppel, perhaps this isn’t the best time for Detan to be stealing an airship from a ruthless commodore. But… what’s the use of having rogue-ish charm if you aren’t going to use it? Author Megan E. O’Keefe does some really tremendous world-building here and for her main character she draws on some classic, love-able rogues, like Han Solo or Captain Mal. How can you go wrong? But the plot meanders lazily and we spend too much time in learning about the world that we don’t really do anything other than get background after background after background. Detan may be modeled after some classic sci-fi love-able characters, but he’s paper-thin and dull to boot. There was a lot here that seemed like it should be a break-out hit, but perhaps there was too much? I just never got brought in to the story nor fell in love with any of the characters and I was mostly just mightily bored, looking forward to the end. I’d requested the second book before reading this and am about to start in on it. I hope that, knowing the background now, I might be able to get more into the characters and story. Here’s fingers crossed…. Looking for a good book? 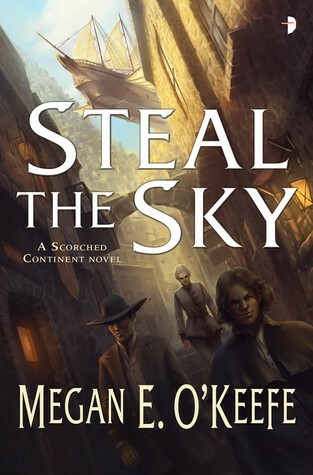 Steal the Sky by Megan E. O’Keefe feels like it has everything it needs to be powerful sci-fi/fantasy, but perhaps less is more in this case – we lose interest early as we spend much of the book learning about world instead of going on an adventure.